Don't know hot to design your site? These resources can help! Integrate CSS3 media queries into your designs to use different styles for different media. You'll also learn about future media queries which are evolving in CSS4. Responsive images allow different images to be presented in different scenarios. We'll cover how to load different sets of images depending upon screen size or resolution and how to display different images in different contexts. Conquer forms! Add validation and useful interface elements like date pickers and range sliders with HTML5 markup alone. Desktop-only websites just aren't good enough anymore. With mobile internet usage still rising, and tablets changing internet consumption habits, you need to know how to build websites that will just 'work', regardless of the devices used to access them. This second edition of Responsive Web Design with HTML5 and CSS3 explains all the key approaches necessary to create and maintain a modern responsive design. The changing way in which we access the web means that there has never been a greater range of screen sizes and associated user experiences to consider. With these recent trends driving changes in design, typical desktop-only websites fail to meet even minimum expectations when it comes to style and usability, which can be vital when your website is central to yours or your client's brand. Responsive Web Design with HTML5 and CSS3, Second Edition is an updated and improved guide that responds to the latest challenges and trends in web design, giving you access to the most effective approaches to modern responsive design. Learn how to build websites with a “responsive and mobile first” methodology, allowing a website to display effortlessly on every device that accesses it. Packed with examples, and a thorough explanation of modern techniques and syntax, Responsive Web Design with HTML5 and CSS3, Second Edition provides a comprehensive resource for all things 'responsive'. This updated new edition covers all the most up-to-date techniques and tools needed to build great responsive designs, ensuring that your projects won't just be built 'right' for today, but in the future too. Chapter example code is all hosted on rwd.education, a dedicated site for the book, built by the author, using the approaches and techniques championed throughout. Introduce your students to the latest, industry-leading, website development practices with the newest book in the remarkable Shelly Cashman Series. For more than three decades, the Shelly Cashman Series has effectively introduced computer skills to millions of students. Now, Minnick's HTML5 AND CSS3: COMPREHENSIVE, 8E makes a huge leap forward, bringing today's best practices in website development into focus with meaningful applications. The webpage development process starts with a semantic wireframe and weaves proven principles of responsive design into each chapter. This edition contains a raft of new, fresh projects that logically build in complexity and also probe for understanding. This edition and accompanying teaching resources strive to not only help you teach valid HTLM and CSS, but also help you reveal deeper conceptual issues essential to the field of web development. Introduce your students to the latest, industry-leading, website development practices with the newest book in the remarkable Shelly Cashman Series. For more than three decades, the Shelly Cashman Series has effectively introduced computer skills to millions of students. Now, Minnick's HTML5 AND CSS3: COMPLETE, 8E makes a huge leap forward, bringing today's best practices in website development into focus with meaningful applications. The webpage development process starts with a semantic wireframe and weaves proven principles of responsive design into each chapter. This edition contains a raft of new, fresh projects that logically build in complexity and also probe for understanding. This edition and accompanying teaching resources strive to not only help you teach valid HTLM and CSS, but also help you reveal deeper conceptual issues essential to the field of web development. The Ultimate Beginner's Guide to Learning HTML. Learning HTML Has Never Been Easier! Are you trying to expand your coding and web design horizons? This Guide Presents HTML Broken Down into Easy-to-Follow Steps with Extensive Examples & Real Application! Learning web design applications has never been easier or more relevant. When it comes to learning web design languages, it can be tough to even know where to start. Many guides and walkthroughs are simply too dense and loaded with programming jargon. ClydeBank Media's HTML QuickStart Guide takes readers and learners through the HTML learning process in a step-by-step progressive path. Our simplified presentation means that foundational concepts are built upon to speed up the HTML mastery process. This guide starts with the fundamentals and takes readers all the way to building their very own full-fledged HTML5-compliant web page. In today's business environment, coding and web design languages are critical skills. Additionally, they are a great way to boost your resume and set yourself apart from other job applicants. Whether you are making a career change to the tech sector or just looking to brush up on crucial web design concepts, ClydeBank Media's HTML QuickStart Guide is an affordable and valuable HTML resource. No one wants to read a wall of text or just talk about HTML concepts. In addition to a simplified presentation, this learning guide uses extensive screenshots and practical examples to illustrate key HTML functions and accelerate the mastery process. Practical examples and numerous screenshots make it feel like you have your own personal HTML tutor looking over your shoulder. Though there are numerous programming languages for the web, HTML forms the backbone of web design and is a powerful tool in any web designer's toolbox. In fact, HTML markup is hard at work right now formatting this text you're reading! This approach to learning HTML is so easy that no prior web design or coding experience is needed. No special software or applications are required - just a desire to learn and to build HTML5-compliant websites. **New** Your purchase comes with free lifetime access to our collection of relevant digital assets. These guides, summaries, checklists, and cheat sheets enhance your learning journey and supplement this QuickStart Guide. The Top Mistakes to AVOID That Those New to HTML Make! Scroll Up to the Top of the Page and Click the Orange “Buy Now” Button to Join Thousands of Other Satisfied Readers and Self- Paced Learners. Creating a Web Site is the kids' guide to learning basic website design! From planning to perfecting, this book walks you through the entire process of building your own website, with easy-to-read instructions and plenty of pictures every step of the way. Good planning saves you a ton of work, so you'll begin by getting your ideas out of your head and onto paper. Next, you'll find a template that already has the basic features you want, so you can start working on the fun stuff right away. You'll learn all the HTML and CSS you need to make your site look and act the way you want it to, and you'll learn how to add video, images, widgets, and more to make the design your very own! Before you know it, you'll have your own custom-built website showcasing your talents and interests for the world. Easy instruction with a dose of humor have made the For Dummies books a leading resource for adults around the globe. The Dummies Junior series brings that learning to kids, with projects designed specifically for your interests, skills, and abilities. Creating a Web Site helps you build your digital home base, with fun instruction every step of the way. 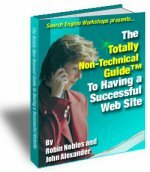 Ever wanted to build your own web pages? HTML and CSS are the languages of the web, allowing anyone who knows them to easily customize a website's look and feel to their liking. Never touched a drop of code before in your life? Don't worry! If you're feeling creative, then Web Design Playground has everything you need to get rid of boring boilerplate designs and start building your very own personal corner of the web! Contrary to what you may have heard, learning web design doesn't need to be boring! Rather than simply provide you with a dry reference of HTML tags and CSS style definitions next to a static screenshot of how they translate into an actual web page, Web Design Playground guides your learning by getting your hands dirty and letting you play in a website built specifically with this book and your learning in mind (the Playground). With the practical exercises and projects you'll experiment with and build, you'll learn everything you need in a fun, relaxed way.